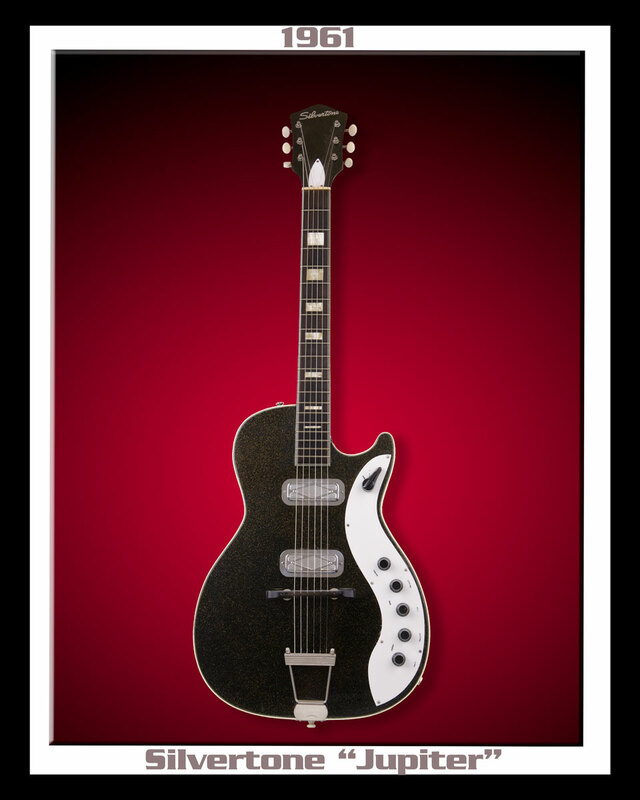 This is a Sears brand guitar sold in the 60's, built by Harmony. This guitar also sold under the Harmony brand as the H-49. The "Jupiter" is similar to a Les Paul but with a semi-hollow body... It's incredible light. The "Jupiter" is remarkably versatile with a great sound. 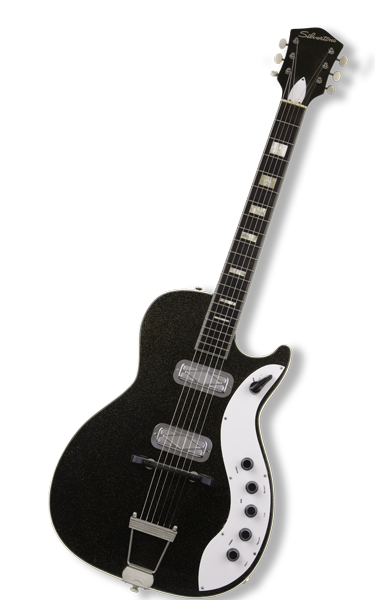 It features two DeArmond pick-ups built by "Rowe Industries", volume/tone for each pick-up and a three position selector. A rare "BLENDER" switch. This special control is activated when both pick-ups are in the middle position on the 3-way switch. The "BLENDER" knob gradually shifts the weight between the pick-ups. 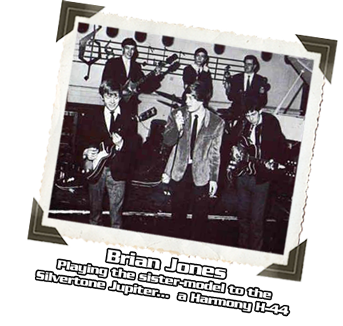 The '61 Silvertone "Jupiter" has an extremely wide range with the "Blender Circuit". It packs punch for such a small guitar.